Under angiotensin 11 (A II) induced hypertension in which the mean arterial blood pressure did not exceed 150 mmHg, blood flow in tumor tissue increased selectively, while not in normal tissues. A II induced hypertension chemotherapy(IHC) has been carried out since 1978. 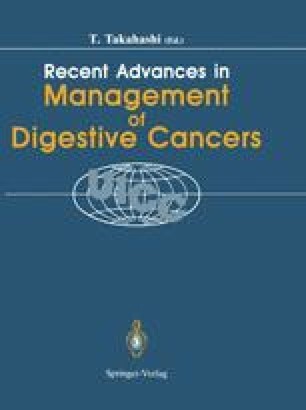 Two randomized controlled trials, using a combination regimen of ADM,5-FU and MMC for advanced gastric carcinoma, showed significant augmentation of anti-tumor effects without increase of side effects. Surgical and pathological down-staging was observed in stage IV cancer patients. Based on the functional characteristics of tumor microcirculation, IHC which is a system of selective enhancement of drug delivery to tumor, will be useful for patients with any malignant tumors.